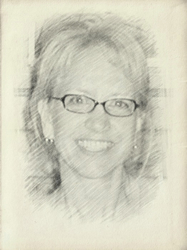 My name is Sharon and I am a freelance website designer. After a long and winding road I came to this place in my career. Not too many peers could say they entered the website business because of a sunken treasure, but that is my story. My education started with a degree from the University of Minnesota with a major in Psychology and a minor in Library Science. Shortly after graduation I found myself running a SCUBA store and working with my husband in our underwater construction company. For three years I was the U.S. rep for a Dive Resort in Honduras. In 1993 the writing was on the wall. With the introduction of the internet, retail would be changing. I sold the store when the getting was good. It was because of our involvement with everything underwater, that perked our interest in looking for and recovering one of the 1906 steamboats that had been sunk 54 years earlier in Lake Minnetonka, just west of the Twin Cities. The first attempt at building a website was the result of a desire to keep the boat afloat after it was raised and restored. Today that 100+ year old boat is a popular floating museum. Growing up a farmer’s daughter, I appreciate the benefits of the term “Free Range”. Working independently in my environs is first choice, but if necessary I will consider brief on-site contract jobs.